For the best results you need the best pan. 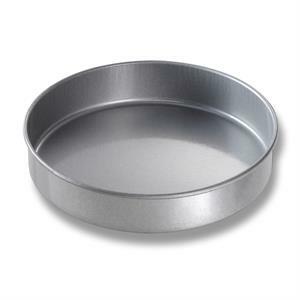 Chicago Metallic’s Bundy line includes these Round Cake Pans, made to the same standards as their commercial quality bakeware. The Americoat® Plus silicone non-stick glaze, specifically designed for bakeware application, delivers unparalleled release without the use of oils or parchment paper, etc. Cakes are baked perfectly with no burnt bottoms and easily release from the pan. Follow the easy care instructions for years of great baking. 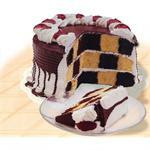 Perfect checkerboard design in a triple layer cake. Set includes three 9" tin pans and one divider. Choose your colours and flavours and make an awe inspiring cake. Recipes and instructions included. By popular demand we have added this to our line. For the best results you need the best pan. 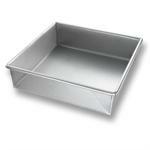 Chicago Metallic’s Bundy line includes these square baking pans, made to the same standards as their commercial quality bakeware.